Mirah Horowitz describes the lessons imparted from her mother, an English professor, on reading and writing as ongoing practices of critical inquiry. Building on their shared love of Shakespeare, Horowitz’s mother taught her daughter how the act of writing can cultivate ideas, prompt questions, and nurture a deeper appreciation for literature. In this light, Horowitz reflects on how the practice of reading and writing about works such as King Lear and As You Like It provided an opportunity to engage with the world in a meaningful way. Building on their shared love of Shakespeare, Horowitz’s mother taught her daughter how the act of writing can cultivate ideas, prompt questions, and nurture a deeper appreciation for literature. 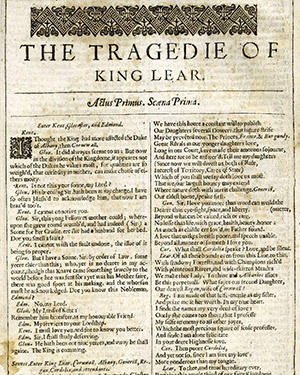 In this light, Horowitz reflects on how the practice of reading and writing about works such as King Lear and As You Like It provided an opportunity to engage with the world in a meaningful way.